A blog of all things crochet! 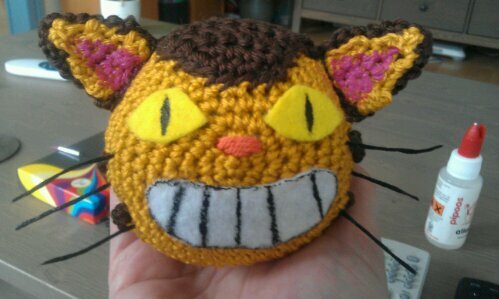 A while back, I was asked to make a Catbus and of course, I couldn’t decline. I’ve been working on it a little bit, trying to write out the pattern as I go, but progress has been slow. Mostly because of work and other social obligations, but also because things aren’t really going as smoothly as I’d like them to. I finally finished the head today. I think the face looks a bit iffy, but overall, it could look a lot worse. 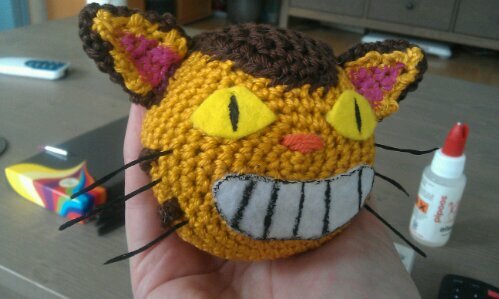 Well, here’s hoping things will start to look up and I can present my friend with a Catbus soon! Voor alle mooie momentjes in het leven.